The Chinese Embassy to Libya on Monday signed documents to provide medical aid to Libya worth up to US$6 million. The signing of the documents took place at the headquarters of the Libyan Ministry of Health in the capital Tripoli, after a meeting between the Chinese Charge d'Affaires in Libya Wang Qimin and the Libyan UN-backed government's Health Minister Omar al-Tahir Bashir. "The meeting is an enhancement of the strong relationship between Libya and China, a historic relationship of mutual friendship and cooperation. This meeting came as confirmation of Beijing's cooperation with Libya, particularly in the medical field. Beijing has provided various medical aid to contribute in easing the suffering of the medical sector over the past several years," Bashir told Xinhua. 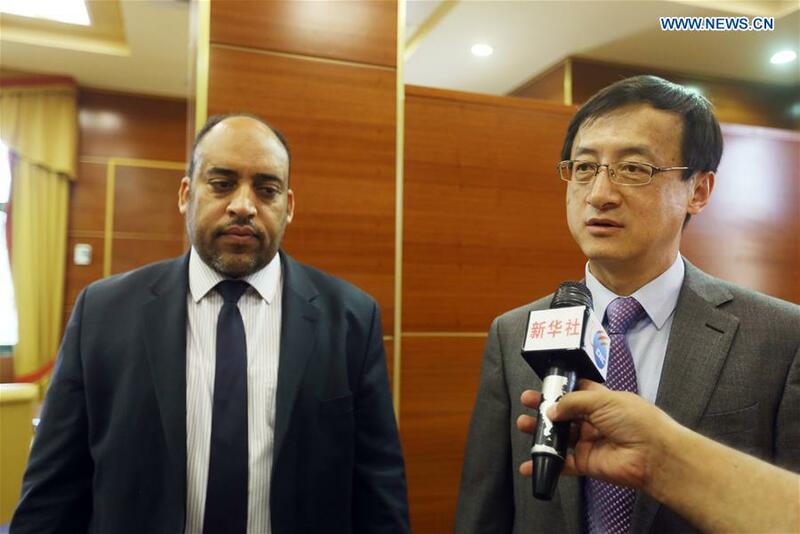 The Libyan minister hailed the assistance provided by China, pledging to distribute the aid in a transparent manner, especially to the cities and groups affected by displacement and those who have returned to their cities recently, mainly the people of the city of Tawergha. Bashir also confirmed that all aid has arrived at Libyan ports and was transferred to the medical supply stores of the ministry, pending distribution. "The aid is an important commitment from China to Libya, as special assistance is provided every year to support the health sector," said Wang. "The value of the aid is up to 6 million U.S. dollars, a package of Beijing's support to the health sector in Libya. This also includes training of Libyan technical personnel in specialized medical fields in China," Wang told Xinhua, adding that "all these efforts seek to ease the suffering of the Libyans." The charge d'affaires pointed out that frequent visits to Libya and meetings with Libyan officials are mainly aimed at stabilizing the country and strengthening the mutual relations between the two countries. Wang is on a working visit to Libya until Tuesday, during which he is expected to meet with the Libyan Prime Minister Fayez Serraj.